An American in Paris and Gigi are being shown at Museum of the Moving Image as part of the series See It Big! Musicals, organized by Reverse Shot editors Michael Koresky and Jeff Reichert, Chief Curator David Schwartz, and Assistant Film Curator Aliza Ma. What does it mean to call a filmmaker ¡°painterly¡±? It¡¯s an oft-used descriptor, and it seems to make a lot of intuitive sense, at least. Yet since the term, when applied to cinema, is essentially conjoining two art forms wildly disparate in fundamental, industrial ways, it¡¯s perhaps worth investigating further. There is seemingly no shortage of directors we might call painterly, from Maurice Pialat to Terence Davies to Olivier Assayas, which doesn¡¯t mean that their films necessarily have the look of paintings but rather that they compose each frame with an attention to light and color equal to that of narrative. There¡¯s an aesthetic unity to their films that makes them feel like the products of single artistic¡ªnot merely auteurist¡ªvisions. Because of this, it¡¯s rare for the term to be applied to a Hollywood studio director, who is not only subject to the whims of the system but also wedded to a studio¡¯s entrenched style. Yet one can hardly read any paragraph about American studio workhorse Vincente Minnelli without coming across at least one reference to his painterly aesthetic. Perhaps the term ¡°painterly¡± has been overused, or too often employed as a critical crutch: what better way to summarily dispatch with discussion of his often opulent, at times teeming canvases, than to refer to them as paintings come to life? Yet with Minnelli, the idea of cinema as painting is not merely a description but a totalizing force and a thematic preoccupation. Some of his films feature protagonists in the midst of¡ªand occasionally immobilized by¡ªcreative pursuits, and others dramatize a retreat into a dream world that reflects their maker¡¯s desire for artistic fulfillment. For all his varied work¡ªin melodrama, in comedy; in contemporary settings, in period pieces; in color, in black-and-white¡ªrarely did Minnelli¡¯s films feel as whole, in terms of both concept and craft, as his two 1950s musicals set in France: An American in Paris (1951) and Gigi (1958), both incidentally winners of the Academy Award for best picture. These films are not just painterly: they are literally and explicitly referencing the work and traditions of French painters. And the resulting films are not simple homages to his favorite Impressionists and Fauves but ravishing hybrid art works. The former uses art to reflect psychological rupture, the latter as a means of transforming cinema into a sort of still life. Taken together they paint a picture of a director who saw cinema as an essential continuation of the fine arts, even as he worked unapologetically within an industry that saw it foremost as a business. Minnelli was more often than not deferential to genre and the demands of narrative, so the image of him as an undisciplined stylist holds very little weight. To insinuate that he¡¯s a glorified decorator betrays a certain lingering unease with classical American directors who don¡¯t conform to the image of the two-fisted macho male. A profile of Minnelli in the New Yorker in 1935, when he was a burgeoning theater impresario, described him in the following manner, and one can practically feel the discomfort oozing off the page: ¡°Up to a few years ago he habitually dressed in a way to remind you of Easter Sunday in Harlem.¡± Eventually, his tendency toward flamboyance would be localized on the screen rather than on his body (save his weakness for wearing eye liner). Minnelli¡¯s first job out of high school, as a window dresser for Marshall Field¡¯s department store in Chicago, is often cited as his crucial first step towards an idiosyncratic color palette and sense of composition. But it¡¯s just as important to note that in those early years he was also enrolled in art history courses at the city¡¯s Art Institute, where he first became acquainted with the work of the painters he would later reference in his films. He was first approached by a Hollywood studio in the late 1930s, following his acclaimed stint as a director of musical spectaculars at Radio City Music Hall, although Paramount was put off by his vision; among his rejected projects was his conception of a surrealistic ballet sequence for the film Artists and Models (1937), deemed ¡°too artistic¡± by producers. Executives didn¡¯t have the foresight, of course, that it was just this sort of extravagant and expensive surreality that would prove Minnelli¡¯s cinematic claim to fame. It wouldn¡¯t be until the early 1940s, after Minnelli had returned to New York for a number of years, that he would be accepted into the Hollywood fold and assigned to direct his own movie. This might not have happened without the help and encouragement of his friend Arthur Freed, whose musicals unit at MGM would soon become the stuff of legend. Minnelli and Freed, an avid collector of paintings by the Fauvist artist Georges Rouault and a former Tin Pan Alley composer, were an aesthetic match made in heaven. Minnelli burst out of the gate for Freed with the all African-American musical Cabin in the Sky (1943), a surprise hit remembered most often today for being a rare movie showcase for Lena Horne (the film is otherwise surprisingly sensitive, and reveals its director¡¯s identification with outcast performers). It was his follow-up, the masterpiece Meet Me in St. Louis (1944), which solidified Minnelli as an enormous talent, as well as introduced him to Judy Garland, the reluctant leading lady who would become his tumultuous first wife. And it was here that Minnelli first envisioned a film as though a series of paintings: he modeled the Technicolor Meet Me in St. Louis on the work of American realist painter Thomas Eakins. Though the overwhelming exuberance of the film would seem quite unlike much of Eakins¡¯s paintings, Meet Me in St. Louis shares with his work a sense of everyday textures and vivid portraiture. One assumes the setting and costumes in Eakins¡¯s work were more crucial to Minnelli here than the overall mood of his paintings. But the comparison between the artist¡¯s verisimilitude and the filmmaker¡¯s attention to detail bears fruit: the film is so intensely, almost indescribably moving, for the way it positions its characters into stylized period frames without ever making them feel like props or dress-up dolls. It¡¯s not a film overburdened by nostalgia; it just seems to settle down, live and breathe with this family. Meet Me in St. Louis might be Minnelli¡¯s best film, but it¡¯s not his quintessential work. With it, Minnelli showed he¡¯d arrived with a fully formed sense of playfulness and character, but didn¡¯t have the confidence yet to wed those skills to the visual exuberance that had been his theatrical stock-in-trade. For the remainder of the decade, he honed his craft on a trio of black-and-white melodramas¡ªthe expertly mounted Garland vehicle The Clock (1945), the fascinatingly lumbering Undercurrent (1947), and the magnificent and sympathetic adaptation of Flaubert¡¯s Madame Bovary (1949)¡ªand, perhaps more crucially, a handful of musical projects that allowed him to indulge in self-conscious artifice: Yolanda and the Thief (1945), which featured a Joan Mir¨® and Yves Tanguy¨Cinspired dream ballet; a segment for the revue Ziegfeld Follies (1946), titled ¡°Limehouse Blues,¡± which reunited Yolanda¡¯s Fred Astaire and Lucille Bremer, this time in shocking yellow-face, for an exquisitely staged, if otherwise dated, noirish tale of sexual obsession; and The Pirate (1948), a Cole Porter¨Cscored swashbuckler with Garland and Gene Kelly, perched on the sword-edge of parody. These works paved the way for the megaproduction that was An American in Paris, and specifically its pull-out-the-stops climax, a fantasy ballet that Minnelli envisioned as an elaborate tribute to French painting of the late nineteenth and early twentieth centuries. The wordless dance sequence functions as a radical way of resolving the romantic and artistic dilemmas of protagonist Jerry (Gene Kelly), an American painter living in Paris on the G.I. 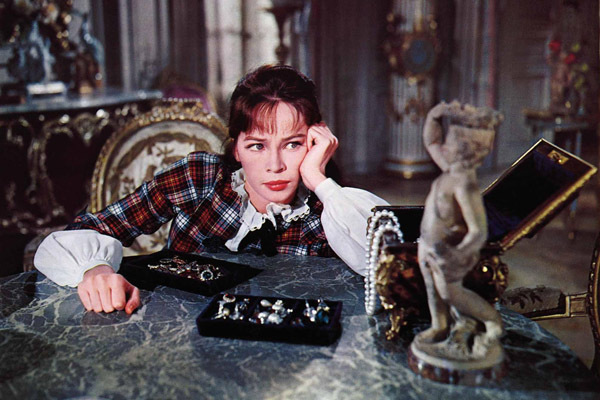 Bill after the war; he¡¯s torn between love for a beautiful gamine (Leslie Caron), betrothed to his acquaintance Henri (Georges Gu¨¦tary, in a role originally intended for Maurice Chevalier, still dogged by the accusation that he entertained the occupying Germans during World War II), and a sensible attraction to his wealthy benefactor, the art collector Milo (Nina Foch), who represents security and comfort, if not passion. The climactic ballet, set like the rest of the film to music by George Gershwin, is a state of delirious imagination and metaphorical psychology, and is divided up into six sections, each with its own color and architectural design and conceived to reflect the texture and style of a different artist. Viewed uncharitably, the result is crass appropriation, or even amusement park¨Clike, treating each painter¡¯s work as though a different ride to jump on. Yet Hollywood cinema has never been the domain of purists or elitists, and Minnelli¡¯s intermingling of the highbrow and the populist here creates one of the most ravishing passages in all of American cinema¡ªno matter that it flirts with kitsch. The studio was convinced to let the imagination of this renowned Francophile run wild, both because he had proven himself a reliably profitable director and because of the runaway success of the 1948 British import The Red Shoes, by Michael Powell and Emeric Pressburger, which climaxed with a similarly extended fantasy ballet. Nevertheless, MGM could not have predicted just how much these seventeen minutes would cost: nearly half a million dollars, an astronomical amount for 1951, and a large percentage of the overall film¡¯s budget. 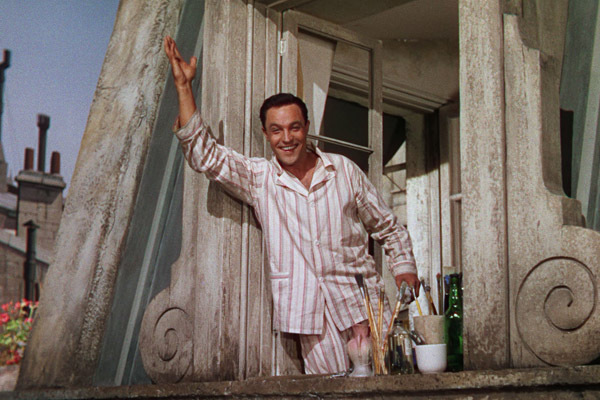 Though An American in Paris was shot by veteran DP Alfred Gilks, Minnelli employed John Alton, the cinematographer he originally wanted for the entire film, for the climax. Alton, whose adeptness at high-contrast photography would make such noir films as T-Men and The Big Combo unforgettable visual experiences, brings a particular texture and resonance to the ballet sequences, especially during the shots set on a Henry Greutert-¨Csculped replica of the Place de la Concorde fountain, enshrouded in fog and bathed in a kaleidoscope of colors while Kelly and Caron enact the film¡¯s most entrancing pas de deux. Fearful that the transition into an interiorized, unreal world would confuse the audience, at the last minute Minnelli had screenwriter Alan Jay Lerner write a short speech for Kelly¡¯s character before the film burrows into his mind. The result is perhaps less reflective of the character¡¯s motivations than Minnelli¡¯s: ¡°I came to Paris to study and to paint, because Utrillo did and Lautrec did and Rouault did. I loved what they created and I thought something would happen to me too.¡± This sense of aspiring to greatness through art, and by recalling those influential artists who are too titanic to reach, is an especially poignant note if we take this as an admittance of Minnelli¡¯s artistic aspirations. Then comes the killer line to Lise: ¡°The more beautiful everything is the more it will hurt without you.¡± Beauty and pain. The sequence begins after Jerry rips a sketch of Paris in two. We¡¯re soon thrust into his dream vision: the torn halves of the drawing, which Minnelli modeled on the work of Fauvist painter Raoul Dufy, are rejoined, and the sketch reappears as an enormous backdrop, its black-and-white lines gradually filling with brilliant colors. The film¡¯s heretofore realistic facsimile of Paris has been replaced by an impression of it, its populace reduced to cavorting types: dandies, gendarmes, schoolmarms, street musicians. Amidst all this, Jerry is surrounded and haunted by female ¡°furies¡± in red and white bridal gowns, foreboding sexual figures. Soon, Alton¡¯s smooth movements give way to herky-jerky camerawork, which creates a rupture: in a flash we suddenly feel like we¡¯re no longer witnessing a painting come to life but that we¡¯re living inside the painting, the camera seemingly replacing the movement of brushstrokes. With its frenetic cinematography, this homage to a more traditional turn-of-the-century painting style begins to feel like a form of abstract expressionism. From here, Minnelli dissolves into an outdoor flower market inspired by works by Pierre-Auguste Renoir, featuring bushels of variously colored petals flanked by men and women standing stock-still as though caught in a still life. Then it¡¯s on to a narrow Montmartre boulevard fashioned after the cityscapes of Maurice Utrillo; a carnivalesque atmosphere backed by primitive Henri Rousseau-esque sand dunes and featuring a cardboard version of the lion from Rousseau¡¯s The Sleeping Gypsy (1897); and the pi¨¨ce de r¨¦sistance, a physical recreation of Toulouse-Lautrec¡¯s charcoal drawing Chocolat Dancing at the Achilles Bar (1894), in which Kelly perfectly mimics the dynamic, sinuous stance of the painting¡¯s black subject, whom the painter depicts as performing indifferently for a white audience. Caron¡¯s Lise floats through all these segments, an object of desire just out of reach. The various styles and vague narrative threads of this sequence come together for a final frenzy at the fountain before they all disappear in a harsh cut, leaving Jerry bereft. He then finds on the ground a single, dewy rose, a symbol of both loss and hope. It¡¯s held to the camera in extreme close-up before we dissolve back to the ¡°real¡± world. Jerry and Lise are summarily reunited, and Minnelli abruptly ends the film, their emotional separation having been resolved within the realm of imagination¡ªwithout a word having been spoken. If for Jerry, painting represents a neurotic drive, then this sequence reflects the act of painting as psychological upheaval. Minnelli would return to this theme more explicitly in his 1956 triumph Lust for Life, about Vincent van Gogh and the agony that is part and parcel of the artistic impulse. Yet it was Minnelli¡¯s voyage back to Paris in the musical Gigi, two years later, which would continue his search for a cinema that would synthesize his adoration of fine art with his adeptness at popular moviemaking. But whereas nothing was real in An American in Paris (aside from the second-unit location images that opened the film, it was shot on the MGM backlot, featuring set designer Preston Ames¡¯s loving recreations of Montmartre, the Quay behind Notre-Dame, the Caf¨¦ Bel Ami, and other iconic spots), much of Gigi was shot on location in the city of light, at Minnelli¡¯s insistence. 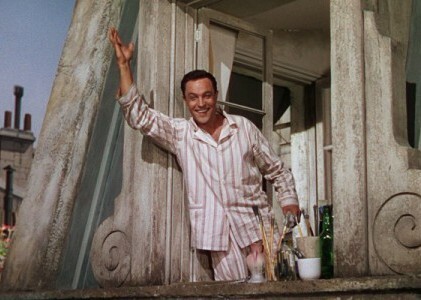 The film also brought the director back with An American in Paris collaborators Caron, in the title role, and writer Alan Jay Lerner, who, soaring from the Broadway success of his and composer partner Frederick Lowe¡¯s My Fair Lady, was tasked with writing an entirely new musical score. More a celebration of Impressionism and Art Nouveau than a faithful adaptation of Colette¡¯s controversial novel about a teenage girl being primed for a career as a courtesan, Gigi is a work of remarkable visual sophistication. Shot in breathtaking Cinemascope by Joseph Ruttenberg, the film offers one luxuriously textured, densely packed canvas after another, bringing Paris of the Belle ¨¦poque to exquisite life. Or more aptly, it grants life the stillness and texture of an oil painting. The inspirations for the look of Gigi included work by turn-of-the-century Paris caricaturist Sem (a.k.a. Georges Goursat), known for his drawings of high-society folk; nineteenth-century painters Constantin Guys and Eug¨¨ne Boudin; and, naturally, Georges Seurat, for his pointillist images of leisurely Sunday park-goers. Due to cost overages and a surprisingly difficult shoot (it was filmed in the sweltering summer, which wreaked havoc on all those extras in corsets and multiple upholstered layers), the film was relocated back to Los Angeles, where many of its interior scenes were shot, including the retina-searing profondo rosso apartment of Gigi¡¯s aunt, which looks like nothing so much as Henri Matisse¡¯s The Red Room (1908) stretched out to an improbable width. Minnelli¡¯s film is so elegantly tailored and sumptuously composed that one can easily overlook the cynicism at the heart of the story, as well as the disturbing implications of Colette¡¯s tale, which were softened a great deal due to nervous executives. Because of this, Minnelli finally got to work with Maurice Chevalier, cast as a character not originally in the book, who narrates and eases the audience into the film¡¯s dubious world, in which young women are slowly indoctrinated¡ªwith the cooperation of older female mentors and men alike¡ªinto being objects for men¡¯s approval. Nevertheless, Minnelli¡¯s vivid style does not function independently of narrative, or attempt to drown out the film¡¯s more discomfiting implications. As viewers we become willingly complicit in Gigi¡¯s elaborately prepared deflowering to the handsome Gaston (Louis Jourdan); it is a film about seduction, ours as well as hers. Gigi is undoubtedly the final musical peak of Minnelli¡¯s career¡ªand coming out the same year as his superb melodrama Some Came Running, it marks perhaps the director¡¯s greatest artistic period. There¡¯s a holistic artistry to Gigi¡ªa sense of every frame being composed and arranged in a perfect manner¡ªthat can make the film at times come across as oppressive. Yet even this bestows upon the film a strange magic. Despite the fact that so much of it was filmed on location, including at the actual Maxim¡¯s restaurant, Gigi feels somehow as unreal as An American in Paris. Both offer images of Paris that exist only in Minnelli¡¯s mind, fostered by his love for other artists¡¯ interpretations of the city. This combination of the authentic and the imaginary is what gives Minnelli¡¯s musicals their tension¡ªand their nearly ungraspable beauty. Writes James Naremore: ¡°Minnelli¡¯s films generally took place in exotic or studio-manufactured settings, where the boundaries between fantasy and everyday life could easily be transgressed.¡± Minnelli¡¯s films remind us that art is the ultimate transgression. Hollywood has often been called a dream factory, and it¡¯s undoubtedly more factory than dream. Yet dreams such as Minnelli¡¯s make one momentarily forget that.